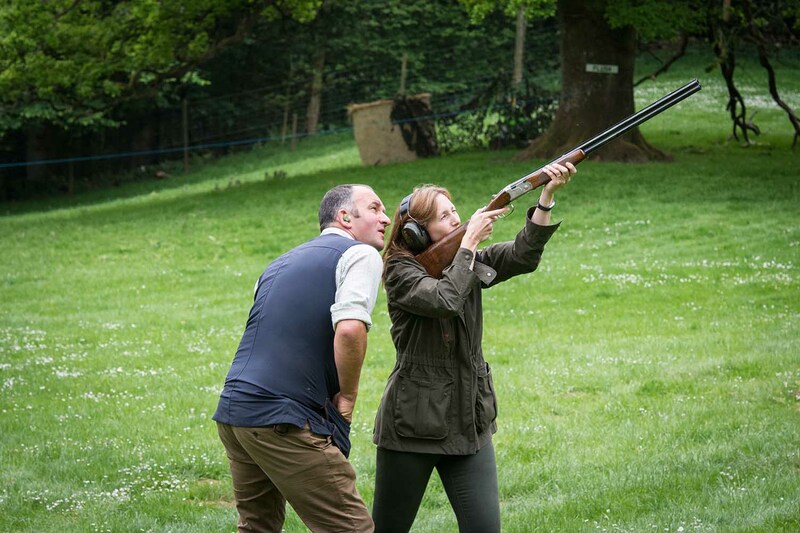 Early summer saw the first shooting event at Edradynate organised and managed by the new team now in situ. Ian and Vicki Smith and Ciaran Woodman-Robinson (Headkeeper, Housekeeper and Underkeeper respectively) worked with Mr and Mrs Campbell, owners of the estate to welcome a new era in successful sporting events and hospitality. 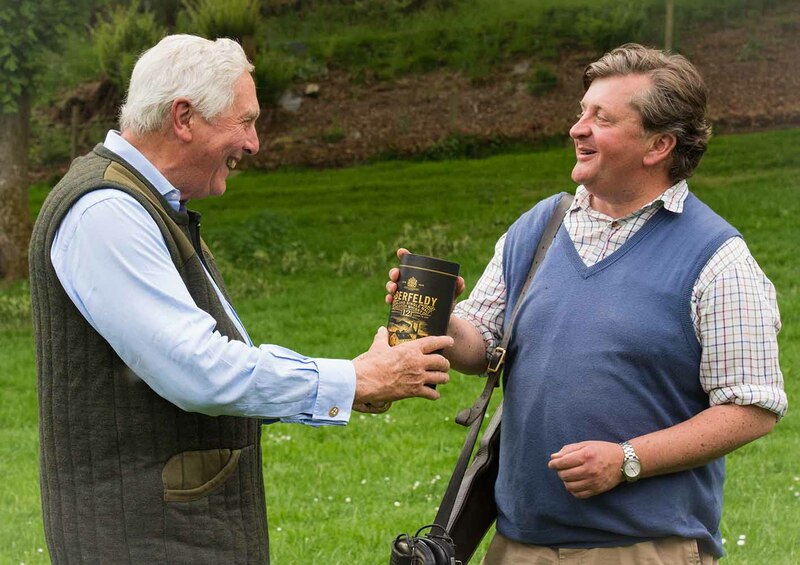 Ian and Vicki brought equipment and expertise from their own company, The Clay Game Co (specialising in simulated game shooting and clay target tuition) to provide the sport and entertainment to a sunny gathering of family and friends in the Park below Edradynate House. Around 120 invitees (including children) enjoyed the “have a go” sporting targets sustained by a delicious Hog Roast provided by Dow catering based in Aberfeldy. For those feeling competitive, a Charity Pool Shoot was also staged on the park in aid of the Myton Hospice where Vicki’s mum passed away in March of this year. The winner of the pool shoot was Patrick Stuart-Fothringham with over £430 raised for the charity. The event ran smoothly with organisational and practical assistance from Sarah Kirby, Ciaran Woodman-Robinson, Brian Low, Pamela Curran and Brenda Wright of Edradynate Estate, Donny Calder, Matthew Geerdink, Andrew Knight, Hazel and Drew Kennedy, Martin Kennedy, David, Linda, Richard, Hannah and Michael Wolverson, Dave Green and Steve Tracey.